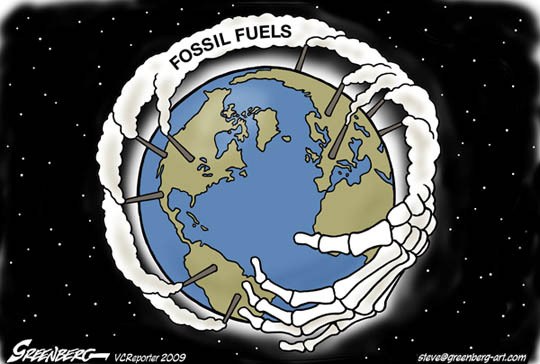 Swallowing Brontosauri: The great fossil fuel delusion. ^^^^ Hahahaha…. on whom is the Joke really? Many years ago I herd a very interesting theory, which immediately struck a chord. Simply put … It made much more sense than the common assumptions. What is un-questioningly accepted as Scientific Fact and ‘Common wisdom’ is patently absurd. They are all simply naturally occurring accumulations of Organic compounds of which the Earth is made. 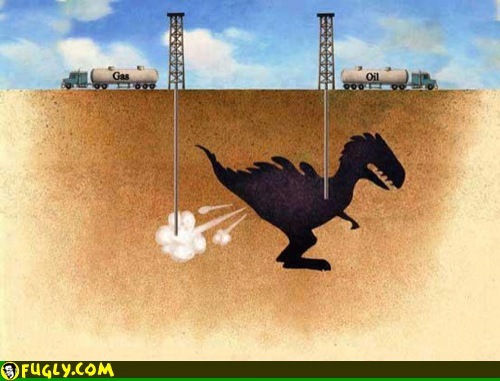 The idea that Oil and gas reserves are the remains of Prehistoric Creatures and vegetation which were somehow buried in massive deposits before decomposition is quite frankly Ridiculous! the delusion that Oil and Gas are ‘fossil fuels’ was argued from the fact that oil samples under a microscope revealed ‘cellular’ materials. Yet it later turned out that these Biological ‘bits and pieces’ are not the remnants of Dinosaurs and trees (as supposed, and taught to the Masses) but are the remnants of Bacteria which have since been discovered to live in the Oil deep down below the surface of the Earth. What is known as Earth’s ‘Biosphere’ … the regions of which Living organisms may be found extends from deep within the Earth itself right up into High altitudes of the atmosphere. Thermopiles have been found living as deep as 5km underground. And recent discoveries in Space exploration are now rendering the Fossil fuel hypothesis even more untenable. Surely the Lie cannot continue much longer… can it??? Just recently vast quantities of liquid “hydrocarbons’ have been discovered in places like Saturn’s moon Titan … and because there have never existed living creatures on theses moons…. it proves that Hydrocarbons form in abundance within our solar system via other natural processes… On Earth carbon is converted internally under heat and pressure etc. On Titan, it is the cold which liquefies the naturally abundant Gases and ‘Oils’ rain from the sky and form lakes, etc. 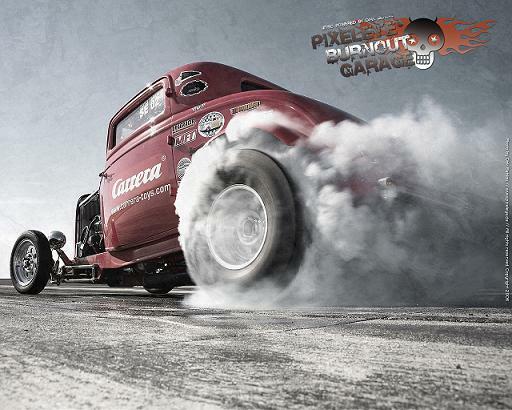 All it takes is the right conditions… no Dinosaurs… no forests required. Suspicion that Oil was not a Fossil fuel has been suspected for Decades… even longer, yet the belief persisted and is perpetuated because it suits the Oil companies to sell it at a premium, and to the Doomsday Greenies whom cry out that ‘fossil fuels’ are a Non-renewable resource that are being Rapaciously consumed… that there is an Oil crisis ahead… and so Capitalism must be stopped, and that heavy handed State control of these ‘limited Resources’ was essential to prevent the eminent ‘Dooms Day’ … The collapse of modern civilisation and Technology…. and a reversion back into the dark age. 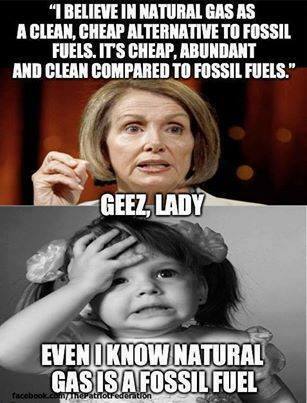 These are the same freaks whom also push ‘Climate change’ hysteria…. which also according to them is fast bringing Global catastrophe…. and so…. ‘surprise surprise’… requires the State to seize control of all the worlds resources and restrain Human liberty. Yet there is no crisis (At least not from Green house gasses or a shortage of Oil! )… no need to surrender the world to a Global Fascist/Commy State….alias Leviathan. Oil and Gas are constantly being made within the Earth’s crust… out of the Earth itself. The Idea that Oil and Gas are ‘fossil fuels is one of the great myths of our age. It demonstrates Humanities infinite capacity to swallow Brontosaurus sized delusions and politically manufactured pseudo-science. Yet because the Fossil fuel myth it is so utterly believed by the great bulk of humanity, I know that not many people reading this will believe me. They will say I’m Nuts. How dare I question the orthodox view? I on the other hand am wondering how long will these Jurassic delusions continue? ‘… a person is more likely to continue to believe a lie he has herd a thousand times rather than the truth he has herd only once’. Previous PostRock legend and good guy Glenn Hughes pays his respects at Ronnie James Dio 4th year memorial.Next PostWhat is real? I prefer to call it evolution fuel. > Surely the Lie cannot continue much longer… can it?? We are not Running out….. The Earth is an Oil producing Machine….